What is current regulator and why it is important? - Per-Accurate Inc.
Home &sol; FAQ -INSTALLING &sol; What is current regulator and why it is important? 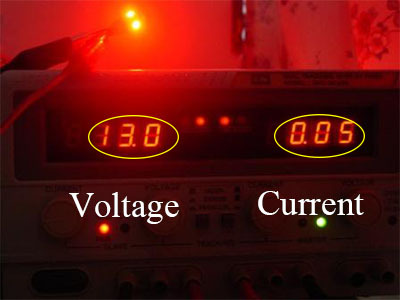 We all know that even everyone calls car is suitable for 12v, and truck is for 24v, in fact, during the driving or starting the engine, the voltage usually increases peak voltage to 18V(Car) or 32V(Truck), while the voltage is going up, leads the current going up as well, but we have to know the sudden increase in current will cause the LED’s death since LED cannot endure the so sudden high current, for solving this problem, we add LED Driver IC(or we call current regulator) to protect the circuit and regulate the current in stable range, as you can see these 2 photos above, we take our 5SMD type T10 LAMP for CAR use as an example, to test with a power supplier, when we emit the LED in 13V, the current is 0.05mA, then we enlarge the voltage to 18v, the current still keeps at 0.05mA, this is what LED regulator functioned and protected.